Take it from us: we’re currently living in what’s essentially the perfect time to go solar. The timing couldn’t be better! On the one hand, energy costs are soaring – at the same time however, demand for solar is booming which is driving prices down. Not to mention, solar panels are getting more efficient by the day. Modern solar PV systems can squeeze out more energy from sunlight than panels from 10 or even five years ago. So it’s no wonder that healthcare facilities all across Australia, including NSW and rural Victoria, getting on board the solar train. How can commercial solar help hospitals and healthcare facilities specifically? 1) Commercial solar saves money, simple as that! With energy prices as high as they are right now, it’s no surprise that power bills are climbing. And for healthcare facilities that use up a lot of power on any given day (and significantly, throughout the night, too), that can mean a lot of money going into electricity. Luckily, that’s where commercial solar panel installation comes in. The big draw of commercial solar is how it gives you the power to shave digits off your power bill. 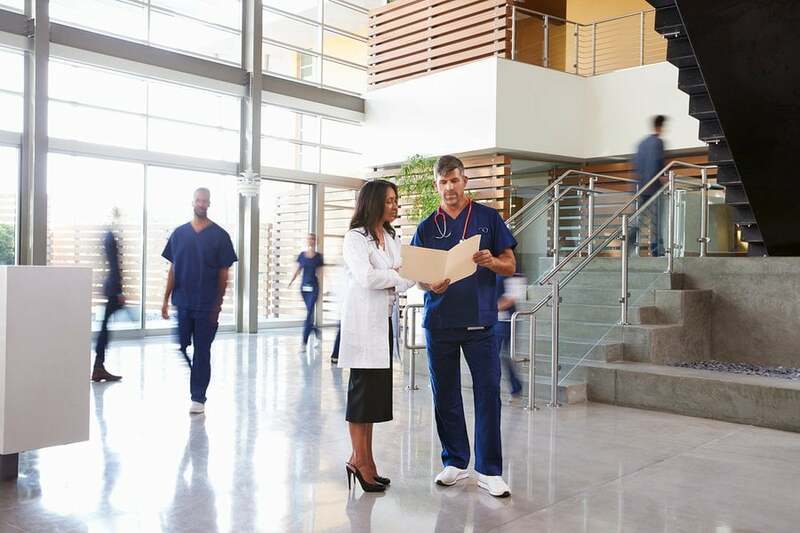 Healthcare facilities such as hospitals burn a lot of power on any given day – not just for energy-hungry machinery, but also to keep lights and air conditioning on. This adds up… but luckily, commercial solar panels can help. On top of reducing your overheads, solar panel installation also generates significant returns for your healthcare facility. 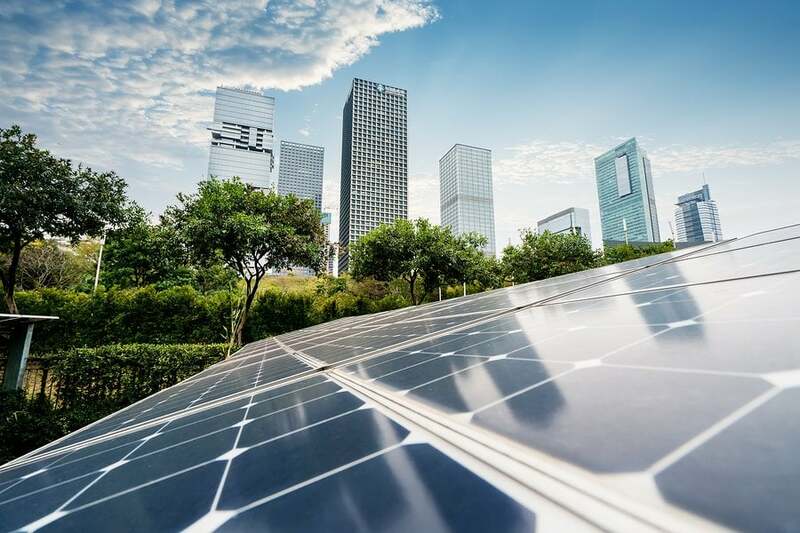 Healthcare facilities with large solar PV systems can recoup the cost of solar installation and even make a tidy return thanks to large-scale generation certificates (LGC) and feed-in tariffs. We know what you’re thinking: how exactly does solar allow you to provide better care? We’ll admit that solar doesn’t directly translate to better care. However, as we mentioned above what it does do is help you reduce your overhead costs. Spending money on electricity is an opportunity cost. While essential to running your facility, it also means money isn’t going towards providing quality care. For hospitals and healthcare facilities, these savings don’t just translate to a better-looking budget. These are just some of the ways the extra savings from commercial solar panel installation can help your medical facility function better overall. Even when the power goes out, hospitals and medical centres need to continue providing medical care. Many health facilities have on-site generators to provide backup power in the event of an outage. However, these generators run on a finite amount of fuel reserves. Once they’re used up, that’s it. That’s where solar batteries come in. On top of bringing down your overheads, commercial solar panel installation better protects you against power outages. When the power goes out, solar power batteries store excess energy generated by your system. Critically, this allows you to run essential activities and continue providing care. Considering commercial solar panel installation? Pacific Solar is proud to offer its consultation and installation expertise to commercial facilities across the country. It doesn’t matter whether you’re in a capital city or a rural town: if you need commercial solar, we will deliver. Our experienced team are LG Solar Partners and specialise in large-scale commercial solar installations. Using proven technology from leading brands, we help out healthcare facilities from small GP offices to large facilities like hospitals. Find out how commercial solar panel installation can help your healthcare facility – call our team today on (03) 9532 3836 or fill in the form for the answers to your questions.